Newly renovated hotel, pool, restaurant on the park's east edge. The only lakeside hotel and cabins overlooking Grand Lake, Colorado. 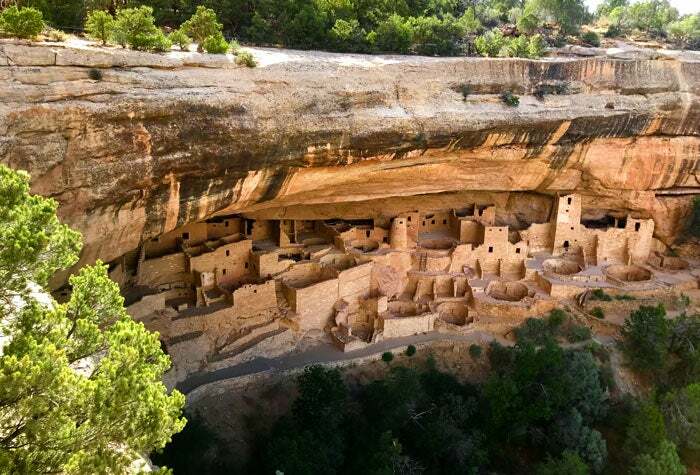 Although only one of Colorado's national parks (Mesa Verde) has a lodge inside the park, you can still enjoy accommodations of every type on your vacation. Hotels and resorts are plentiful in the gateway towns and small communities surrounding the parks including Estes Park, Grand Lake, Alamosa, Durango, Cortez, Montrose, Grand Junction and more. If you have your heart set on sleeping inside the park, campgrounds provide the treat to soothe your hunger for nature and all of Colorado's national parks and monuments have them. We make it easy to choose your Rocky Mountain National Park campsite with our visual guide, Where Should I Camp in Rocky Mountain National Park? But don't ignore the beautiful campsites in the bordering national forest and modern conveniences of community campgrounds nearby. Visitors will find an enormous amount of camping opportunities. To start, all four national parks have campgrounds inside the park. Visitors to Colorado's national parks will find a large variety of hotels to choose from including two spectacular and particularly unique historic hotels. Only Rocky Mountain and Mesa Verde national parks have restaurants inside the parks and they are seasonal. Never fear, the park gateway towns have a wide dining selection.